‘Swing into Shape’: 4 Weeks – Summer Fit Program – Part 3 of 3! Today, I’m excited to give you the final edition of my 3-part series, Swing into Shape: 4 Weeks – Summer Fit. Click here and here if you missed the first 2 parts of the series. Check out Part 3 below – we top the program off with easy diet and nutrition guidelines that will make the difference. You also get instructions on how every single one of you can complete this program in the gym, at home (benefiting from a special offer on home workout equipment if you don’t have the minimal equipment you need already) or with no equipment at all*. I don’t believe in restrictive diets. I believe in fuelling your body in a healthy way that allows you to enjoy food and life. 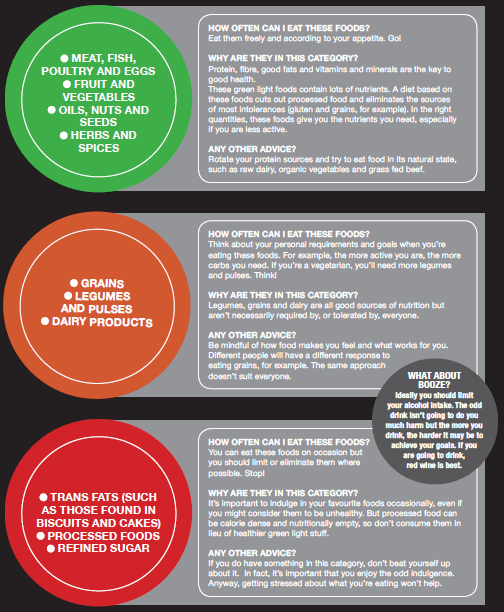 Eat plenty of fruit and veg (different colours and a wide variety). Eat an adequate amount of protein and rotate your sources. Make sure you eat some good fats such as those found in grass-fed butter, coconut oil, nuts, seeds and avocados. Reduce or eliminate your intake of booze and processed food. Pick only one of the healthy habits below that you’ll commit to following every day in Week 1. Then, each week, build on your previous weeks’ success by adding in just one new healthy habit each week. If by the end of Week 4, you’re consistently achieving each of your simple and effective healthy habits at least 80% of the time, you’ll notice rapid and dramatic improvements in your health, physique and conditioning. As I often say, results depend on effort, determination, commitment and consistency. Drink 2 litres of water per day (I make sure I have at least 4 refills of a 500ml bottle) and drink green tea and black coffee in the morning. These speed up your metabolism, enhance the chemical reactions in your body and help your mental clarity. Ensure you take in carbohydrates every day, but don’t overdo it. Try and have carbs around your workout period (2 hours before, during, and 1 hour after exercise). This helps decrease fat storage and control your hormone insulin, while still giving your body the fuel it needs to train and recover properly. Brown rice, sweet potato, oats and quinoa are great sources. Eat a source of protein with each meal (meat, fish, poultry, eggs, nuts and seeds). If you can consume a good quality, lean protein shake after training, even better. This helps you repair, preserve and improve muscle mass and recover from training – this is vital; keeping lean muscle is what fires up your metabolism to burn fat. Consume plenty of fruit and veg to get important vitamins and minerals and speed up the chemical and fat burning reactions in your body. Up your intake of good fat – avocados, nuts and seeds, oily fish, good quality olive and coconut oil are great. Consider a supplement such as fish oil. The more good fat you eat (high density, artery / vein clearing, not low density, artery / vein clogging like saturated fat), the more bad fat you burn off. Lower your intake of booze and processed food. 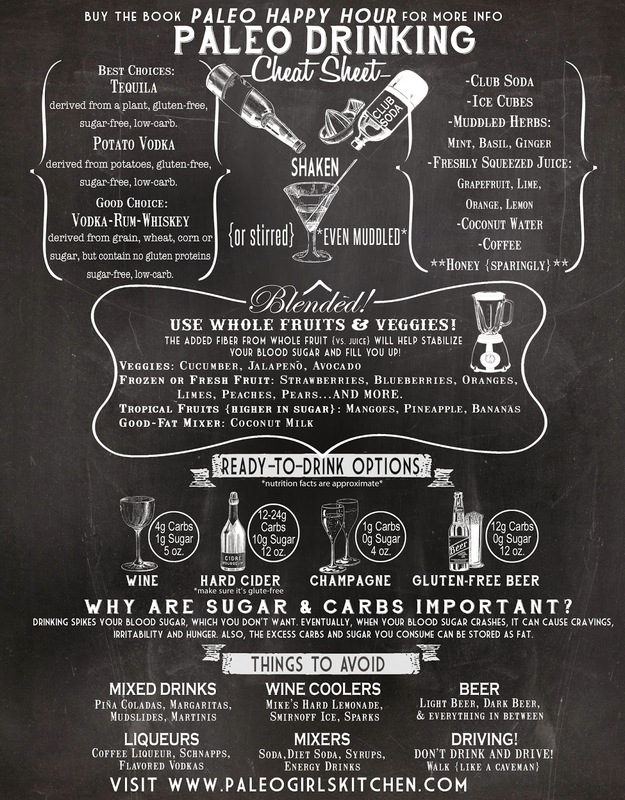 If you enjoy the odd drink, check out this great guide of the best choices to make. Use your common sense to cut out the crap (soft drinks/refined sugar, biscuits/cakes, chocolate, sweets, crisps, fast/pre-packaged food, etc.) By the way, I LOVE indulging in my favourite foods and drinks. It’s important to, every so often. Eat/drink healthily at least 80% of the time. You’ll then enjoy your favourites without worrying about it (cooked breakfast is my speciality; big burgers, heaped pizzas and cheesy pastas always go down a treat). Start taking a daily multi-vitamin and Vitamin D supplement. These are a great ‘insurance policy’ that ensure you’re getting at least the minimum recommended amount of all the key vitamins and minerals you need. My clients have access to a database of over 60 quick, easy, healthy breakfasts, lunches, dinners, snacks, smoothies and treats. These make it even easier to eat well and let you know exactly how much of each macronutrient (protein, carbs, fat) you’re taking in. This also gives you comfort that everything you’re eating is RHP-approved, healthy and tasty. The beauty of the Swing into Shape program is that it’s quick, effective, and can be done virtually anywhere and adapted to your needs or equipment availability. For those wanting to purchase equipment to help them complete the Swing into Shape program, benefit from Results Health & Performance’s partnership with renowned gym equipment supplier, gymequipment.co.uk. I only recommend kit from people I trust, that I use myself and will be useful to you for life. Use the discount code RHPBENEFITS to get priority service on your order or contact the company and ask for Russell, quoting RHPBENEFITS and he will hook you up. My current clients get a further benefit of a 5% discount for any equipment that will support them achieving their goals when they are not training with me at RHP in person. Here’s a tip – get competitive and set a challenge with your friends to see who can make the best changes in 4 weeks; you’ll be amazed at the accountability this gives you! Then, congratulate yourself for actually finishing a program. That’s rare in today’s world. You are now in extraordinarily better shape than you were four or five weeks ago. Your training should be poised to take off. To get your hands on all 3 parts of the Swing into Shape series combined in one, comprehensive manual, click here to download the entire manual completely for free. This includes full program design, video instructions, easy diet and nutrition guidelines and a special offer on home workout equipment if you need it. You can benefit from Results Health & Performance’s partnership with renowned gym equipment supplier, gymequipment.co.uk. Do you think Personal Training at Results Health & Performance can take your Health, Physique Transformation or Sports Conditioning Results to the next level? If you do, contact me or click now to find out about RHP’s One-Week All-Access Free Trial and Results Membership options. Thanks for reading; if you like it, ‘like’ it and share with people you know would benefit and be interested. Let me know what you think and post your results in the comments section on the blog or via Facebook or Twitter! Swing away folks – see you soon. ‘Swing into Shape’: 4 Weeks – Summer Fit Program – Part 2 of 3! Hi – you’re back for more! Yesterday, I gave you Part 1 of my 3-part series, Swing into Shape: 4 Weeks – Summer Fit. Check out Part 2 below – the step by step program for you to follow, including video demos of everything you need to know. 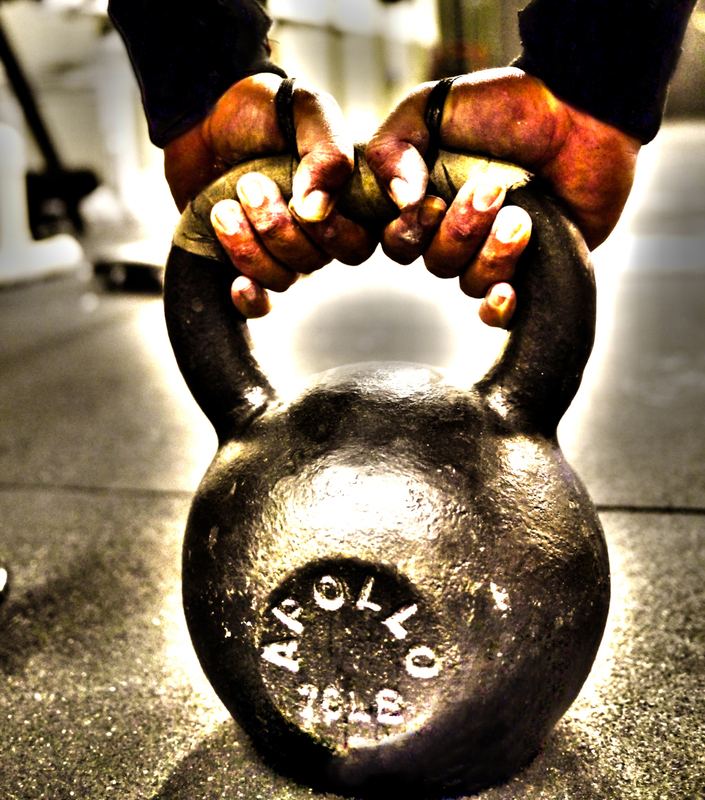 In four or five weeks, you’re going to perform 10,000 proper kettlebell swings. These will be split across 20 workouts. You’ll do 500 swings per workout. Between sets of swings, you’ll perform low-volume, basic strength exercises. You will train 4-5 days per week, for less than 1 hour. Train 2 days on, 1 day off, and repeat. 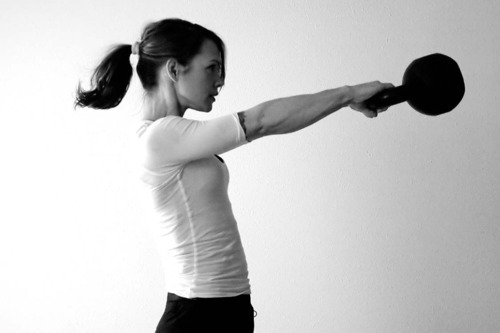 Men will use a 24kg kettlebell (53 pounds). Women will use 16kg (35 pounds). This is a stand-alone program. If you feel you’re able to do a second workout in the same day, you are ‘under-belled’ – you’re either not going heavy enough or not training with maximal effort. Perform the simple, quick and highly effective Results Health & Performance Foam Roller Self Myofascial Release Routine followed by either of RHP’s Two Dynamic Mobility Warm Up Routine 1 or Dynamic Mobility Warm Up Routines. These activate and strengthen classically weak muscles and lengthen typically tight muscles. You’ll fire up your nervous system, feel more mobile and supple and reduce aches and pains so you’re primed to train. You’ve now completed 100 reps or one cluster. To complete your total of 500 swings, repeat the cluster 4 more times. Between sets, add a low-volume strength movement. The above four exercise modifications (well, three, because everyone should goblet squat) are also great if you struggle with any of the initial exercises. It’s the dips and chin-ups for most people. These movements will not make you bulky or big. In a way, I envy you. Great things happen to a lady’s physique and confidence if you train intelligently, combining strength-based movements with total body metabolic resistance interval training (a fancy way of saying innovative cardio, without having to stand there bored on a machine for an hour). If you train correctly, the way your body is naturally designed hormonally means that you will burn fat from the areas you don’t want it, and keep toned muscle in the areas you want it. It’s almost impossible for women to gain large amounts of muscle, unless you enjoy guzzling human growth hormone instead of green tea. At some point in your life you’ve probably seen guys you know trying to ‘bulk up’. And fail, epically. If it’s hard enough for blokes, who have much higher levels of testosterone and human growth hormone, to gain muscle, you following this program designed to maximise fat loss and retain toned, shapely muscle in the areas you want it, will NOT make you bigger. Quite the opposite, actually. It will fire-up your fat burning metabolism, because active lean muscle is the fat burning engine of our bodies. The strength movement modifications I’ve provided also allow anyone to perform this program. It’s normal for women initially to find dips and chin-ups hard (though ladies I train build up to them in time). • For the 1-2-3 rep lifts, use your five rep max weight. • For the dip you’ll need more reps (same for all other exercise modifications; Kettlebell Overhead Press, each Press Up variation and Kettlebell Bent-Over Row). Use a 2-3-5 rep scheme for any of these. • If you choose to do the program 5 days per week, on one of those days you’ll only do the swings. Leave out the strength work between rounds. If you train 4 days per week, you’ll use the strength movements every workout. After each round of 10, 15 and 25 reps, rest 30-60 seconds. The first cluster will be easy and you can plough through it. In the later clusters, you’ll need up to the full 60 seconds for grip strength recovery. Time your workouts. Each week you should be getting faster. Your time in workout #20 should clobber your time in workout #1, because you’ll need less rest between sets. Each week, I reduced 10 seconds off each rest period after the 10, 15 and 25 rep sets of swings (so by week 4 I was resting 30 seconds). I also reduced 30 seconds off each rest period after the 50 rep set of swings (so by week 4 I was resting 90 seconds). For the strength lifts, the goal is to use a weight that’s challenging on the first workout and easy by the last workout. Here’s what the un-modified program looks like. By the end of the workout, you’ll have completed 500 swings and 30 presses. By the end of the workout, you’ll have completed 500 swings and 30 goblet squats. By the end of the workout, you’ll have completed 500 swings and 30 chin-ups. Day 7: Off, or begin the cycle again. If you begin the cycle again because you want to use the program 5 days per week, remember to do only the swings during one workout per week. So, you now have the full exercise plan section of the Swing into Shape program, laid out in easy steps with video demos for you to follow and get great results for the next 4 weeks. Tomorrow, check back here on the blog or on the Results Health & Performance social media pages (Facebook and Twitter) for the final Part 3 of the Swing into Shape series. We top the program off with easy diet and nutrition guidelines that will make the difference. You also get instructions on how every single one of you can complete this program in the gym, at home (benefiting from a special offer on home workout equipment if you don’t have the minimal equipment you need already) or with no equipment at all, apart from your kettlebell. If you can’t wait that long and want to get your hands on all 3 parts of the Swing into Shape series right now, click here to download the entire manual completely for free. This includes full program design, video instructions, easy diet and nutrition guidelines and a special offer on home workout equipment if you need it. You can benefit from Results Health & Performance’s partnership with renowned gym equipment supplier, gymequipment.co.uk. ‘Swing into Shape’: 4 Weeks – Summer Fit Program – Part 1 of 3! Hi. I’m Rich, Owner and Director of Personal Training at Results Health & Performance (RHP). I specialise in Health, Physique Transformation and Sports Conditioning. To find out more about me and Results gym, click here. This blog, Part 1 of an awesome 3-part series, kicks off loads of posts on the Results website that will be relevant and interesting for you – I hope you like it. Through this blog, I want to bring you great content that is really useful and easy for you to benefit from in your lives. The annoying thing about blogging is that now, everyone has one. If you try and read or follow everyone’s blog, it’s an overload of information. It can definitely be overwhelming. Personally, I’m not the slightest bit interested in constant, pointless posts that don’t add to your day. I’ll undoubtedly post the occasional motivational video and quote or random, quirky fact about my life/business or other stuff. Only if I think it will make you laugh, smile and think, make your day better or help you be better at something. That said; my focus and ethos for this blog is to give you high quality, substantial, cutting edge information that will make an immediate, positive impact on you. A sort of ‘fitness filter’. I’ll likely blog less than most, to give you really great content. I’m really excited about the future. I’m constantly pushing my own limits, and it’s brilliant to have you here with me for the ride. I have no preconceived notions of becoming the most important name in fitness (yet), nor do I profess to have all the answers. But with people like you to keep me focused and motivated, I have no doubt I will grow Results Health & Performance into the best Personal Training business I possibly can, that puts my members, and their results, first. Happy reading gang; I’m thrilled you’re investing the time to check this out – I think you’ll love this series! I hear a lot about the’10,000 hours’ principle, popularised by Malcom Gladwell in his great book, ‘Outliers: The Story of Success’. Gladwell says that to get really good at something, to become an ‘expert’, you must devote at least 10,000 hours to mastering your craft. We should all strive to get better every day at whatever it is we’re passionate about. For me, it’s being an awesome partner to Jen, son and brother to my family, and friend to my mates. It’s also running the best, highest quality personal training business I can, which allows me to improve the lives of others and contribute positively to the world. It’s the 10,000 I’m interested in, not the hours. This proven program will test your grit, improve your athleticism and get you in the shape of your life. Kettlebell Swings are a low-impact (good for your joints), time-efficient total-body movement that improve classic weak points. Glutes and arms for women. Forearms, biceps, back and traps for men. Abs and hamstrings for everyone. Swings also send your metabolism through the roof. Every person who has completed this 20 workout plan has maintained or increased lean muscle mass while dropping body fat. You don’t need to restrict yourself. Adopt and be consistent with just one healthy habit per week and you’ll reap the benefits. Workouts get shorter each session because your performance improves. You can complete these in any gym, at home with the right equipment (options provided), or at home with no equipment using the modified version of the program I’ve created. I cannot take all the credit for this program. It is strongly inspired by the work of one of the great coaches, Dan John. I’ve stayed true to Dan’s original principles. I also provide options for those who need to work out at home or don’t have the (minimal) kit they need in their home gym already. It is extremely rare that I feel comfortable recommending a program to the masses. My health and fitness philosophy is founded on my belief that every individual has different goals, needs, abilities and commitments. As such, all my Personal Training programs are just that; personal, customised and tailored to each individual I train, based on a thorough Results Strategy, Motivation and Functional Movement Assessment, including Body Composition Analysis. That said; I believe wholeheartedly in the results this program will deliver to anyone, male or female, who commits to it. It took me from 88kg and 18% body fat to 85kg and 11% body fat in 4 weeks. Without challenges, the human body will soften. We thrive when we push our boundaries, reach goals, and blast personal records (PR’s). We perform better, we look better, and we feel alive. Everyone lost fat and got leaner, dropping a waist size or two, in 20 workouts. Everyone made visual improvements to their physiques, maintaining or adding lean body mass (crucial for a fast metabolism). Everyone increased their grip strength and greatly increased work capacity and athletic conditioning. They could all train longer and harder when they went back to their normal training programs. After the program, everyone saw a noted improvement in their core lifts. PR’s fell like dominos. Full-body strength and power shot up. Abs re-appeared. Glute strength was tremendously better. The abs and glutes ‘discovered’ how to work again, leading to athletic improvements in sport with great carry-over to every-day life and physique transformation. The Kettlebell Swing is a hip hinge: basically the position you take in a standing long jump. Look for maximum hip bend and minimal knee bend. It is not a squat. Begin in the bent over ‘Silverback Gorilla’ position. Slide the kettlebell back a bit, and vigorously ‘hike’ the bell at your zipper. Hinge deeply and let the forearms slide through the thighs. Then, snap up to a vertical plank position. There is no start or finish to a correct swing. The vertical plank is a moment to grab the ‘bell and toss it back towards the zipper. The hinge causes a rebound and we pop back to the plank. Lats connected to the shoulders. Arms snapped directly in front of the body. 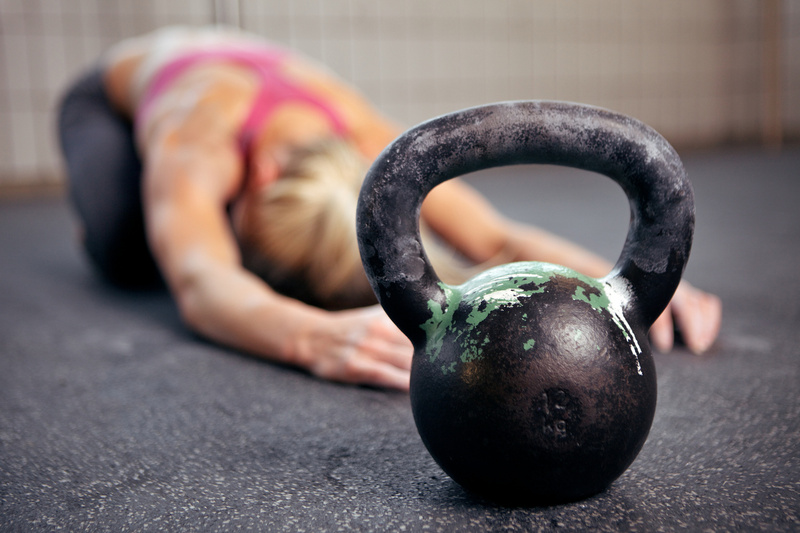 Do not let the kettlebell float much higher – grab it and toss it back to your zipper. 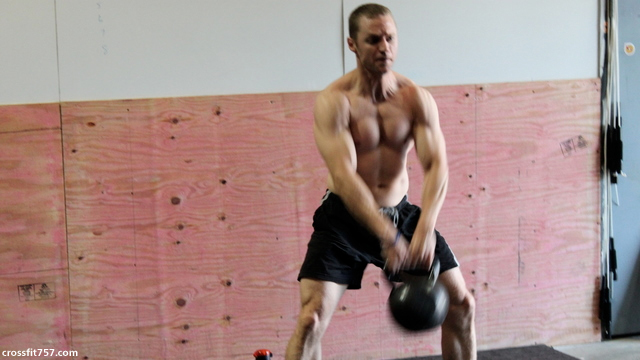 The kettlebell should not be brought overhead. The swing should be explosive, and attacked with a high tempo. My girlfriend Jen summed up the benefits of the swing in the best way I’ve ever heard. “Rich, when I do my swings every day, I feel in control of everything”. I’ve given you a taster for the results and benefits you’ll get from completing the Swing into Shape Program for the next 4 weeks. Tomorrow, check back here on the blog or on the Results Health & Performance social media pages (Facebook and Twitter) for Part 2 of the Swing into Shape series – the step by step program for you to follow. It’s all laid out for you on a plate (/screen); including video demos of everything you need to know. **If you don’t like Harry Potter or Lord of the Rings and think I’ve lost the plot – just do your swings. 4 Week Step-by-Step Training & Nutrition program to get you in the best shape of your life. Full Program Design, Video Instructions, Easy Diet and Nutrition Guidelines and a Special Offer on home workout equipment. Transform your Health and Physique for summer and improve your Physical Condition for Sport and Athletic pursuits.